There is a major festival in May – Mother’s Day. This special day belongs to the one who is the closest to us and always loves us – Mother. Every time when we think back the good memories of childhood, we can’t forget the unconditional love from mother and her loving care in every possible way. Now that we have grown up, we want to thank mom for her love with something special. Mother was young once, like a beautiful flower in full bloom; but time flies, nowadays she is no longer young and healthy, although she still has the unique beauty of her age. On this special day and special moment, we have a chance to show our love and care to our dear mums. Hong Kong florist Give. Gift. Boutique highly recommends this new Mother's Day gift to you. This gift is the combination of fresh flowers, healthcare products and dietary supplements, so it’s like two surprises in one treasure box- mothers can enjoy the beauty of the lovely flowers as well as using the healthcare products to keep healthy. One special gift to show endless love, mothers can definitely feel the love and respect from their sons and daughters. 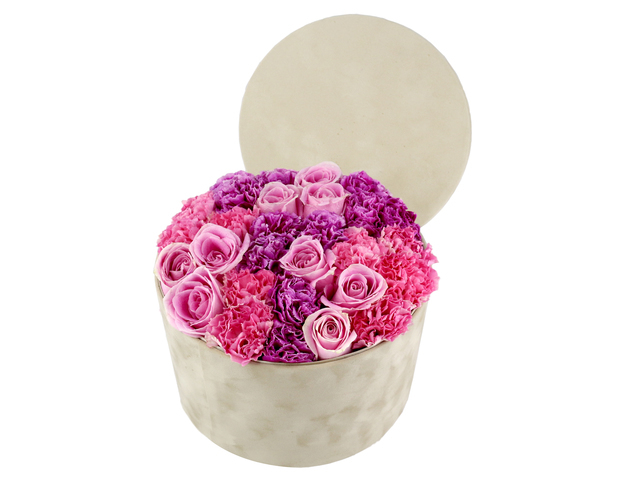 Mother’s Day innovative double door preserved flower gift box. Open the double door gift box and the pretty preserved flower surprise gift is right in front of you. preserved flowers imported from Japan , including Japanese imported Gradient pink Carnation, Japanese imported double color David Austin rose, Japanese imported white Lily, Japanese imported double color Hydrangea, Japanese imported purple and red Hydrangea, Imported dried floral/leaves materials, heart-shape accessory , Premium double door jewelry box. The jewelry box design has a small drawer for you to put your valuable items. Fragrance & Cup Set Gift Hamper. 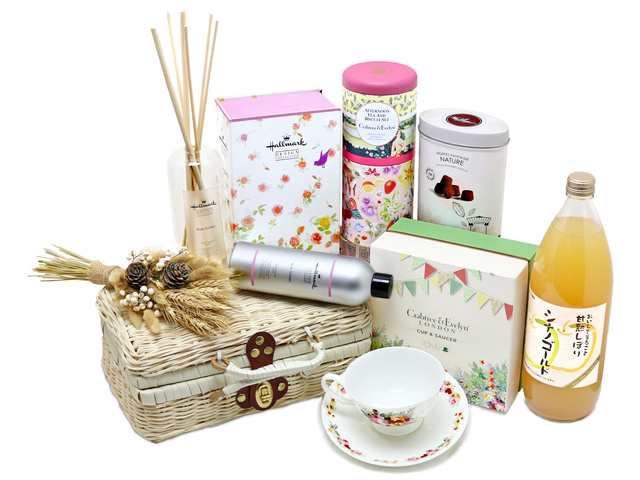 This gift hamper has Hallmark, Deluxe Fragrance Set (with Glass Bottle & Reeds), Crabtree & Evelyn / Harrods, Tea & Biscuit Set, Mathez Paradise Collection, French Truffes Fantaisie, Japan Aomori 100% Apple Juice, a small bunch of dried flower with a white/brown picnic style gift basket. This all-in-one gift shows all-around care for mummy. To send a box of carnation flowers is also a good way to please your mother. If you want to get more Mother’s day gifts, you may order online from Give. Gift. Boutique flower shop. This is a Hong Kong GGB original 'Best gifts for Mother's Day' blogpost.